We have had the ball on pre-order for several weeks, but now we can actually show you what it looks like! 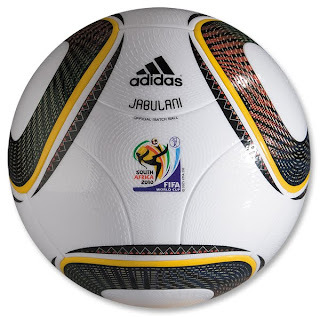 adidas' 11th FIFA World Cup official match ball. Designed for never before seen power, swerve and control. The cover is made up of thermally-bonded PU for exceptionally true and straight flight, and the bladder is made of latex for excellent rebound. FIFA approved.